This painting has a ledger or robe paintings in the back ground. The one in this painting depicts a Horse Raid. The plains Indian has his face painted white and red. 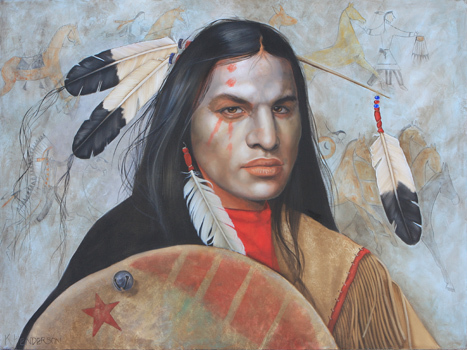 He wears a fringed Buckskin shirt with red trade cloth and carries a shield. 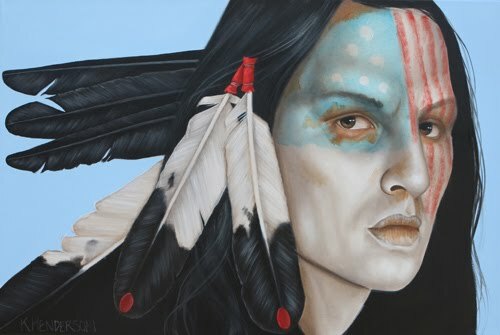 Eagle Feathers adorn his hair. I used this model several years ago for a painting. 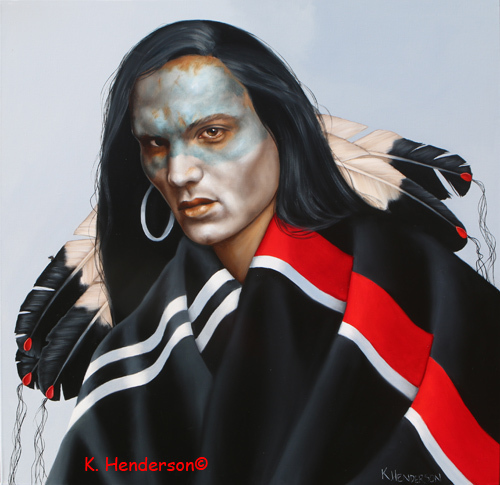 A collector saw the painting but missed out on purchasing it. The beautiful model made enough of an impact that the image stayed in his mind. 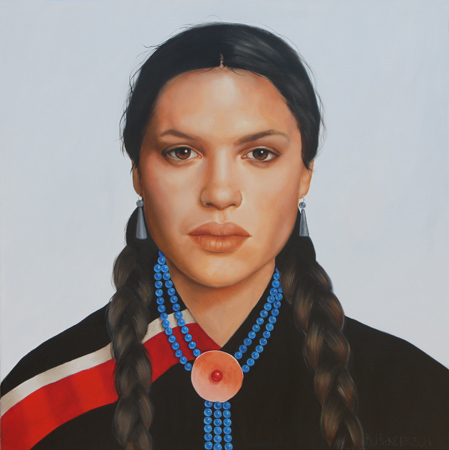 I was recently commissioned to create this painting using the same young American Indian woman. 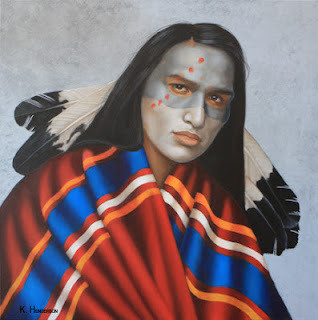 This Plains Indian wears eagle feathers, has his face painted and wears a Trade Blanket or Wearing Robe from the early 1900's. Trade blankets were among the earliest items of exchange between American Indians and Europeans fur traders in the 1700's.